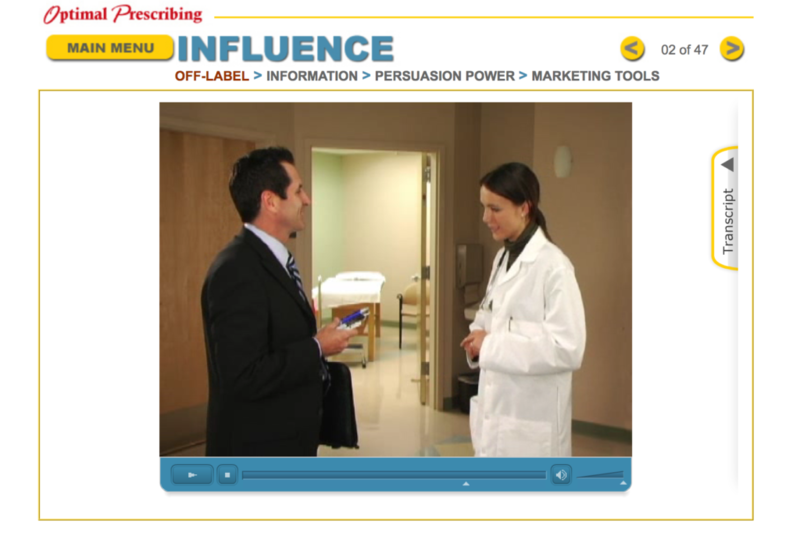 Video “stories” of the characters, Max, the pharm rep and Dr. Chavez, the physician, are woven throughout the course. An eLearning project I designed and developed using storytelling methods weaved into the Instructional Systems Design was Optimal Prescribing. At the time, Warner-Lambert entered into an Assurance of Voluntary Compliance/Discontinuance with the Attorneys General of 50 States and the District of Columbia to settle allegations that the company had conducted an unlawful marketing campaign for the drug Neurontin® that violated state consumer protection laws. A key provision within the agreement included a settlement that provided a $21 million Consumer and Prescriber Education grant program to be administered by a Special Committee of State Attorneys General pursuant to an Oregon Court Order. 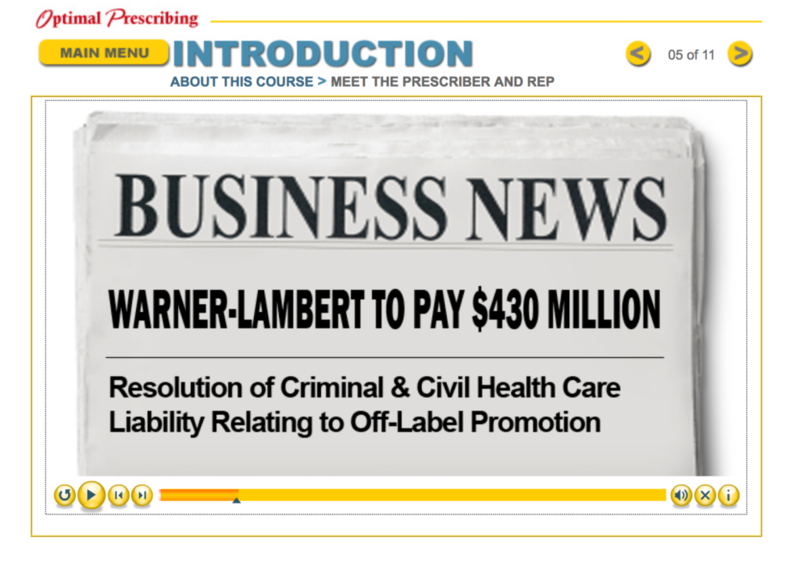 The course was developed based on a liability lawsuit regarding off-label drug promotions. I worked with the Lovelace Clinic Foundation’s team who administered a small award of the Attorney General Consumer and Prescriber Educational Grant to create an eLearning course. 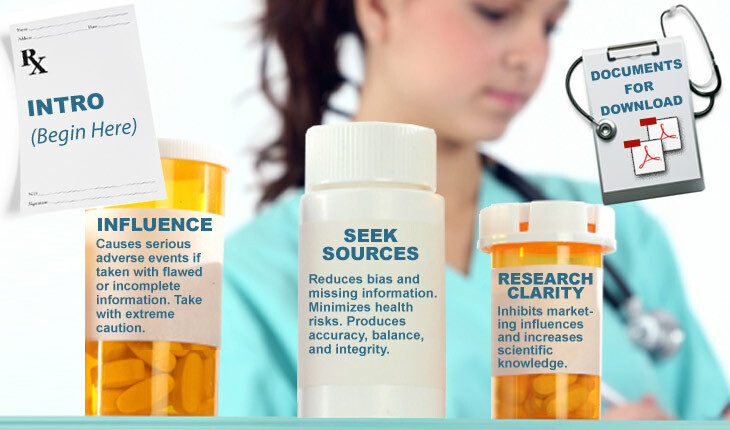 This course, “Optimal Prescribing”, was delivered for 3 continuing medical education credits for health professionals nationwide to better recognize and minimize susceptibilities in the professional healthcare industry related to pharmaceutical marketing. Characterization and the making personal connections of the material is an important way to develop an emotional/memorable connection to learning concepts. This course weaved in a story-based, plot infused approach to navigating and interacting with the content. The story was based on the characters, Dr. Chavez (the prescriber) and Max, the pharmaceutical rep. Having former pharmaceutical reps and doctors participate in the script writing process for the video development and course reviews. This partnership provided realistic scenarios and marketing and research data on the many prescribing influences that enter into the medical profession everyday.